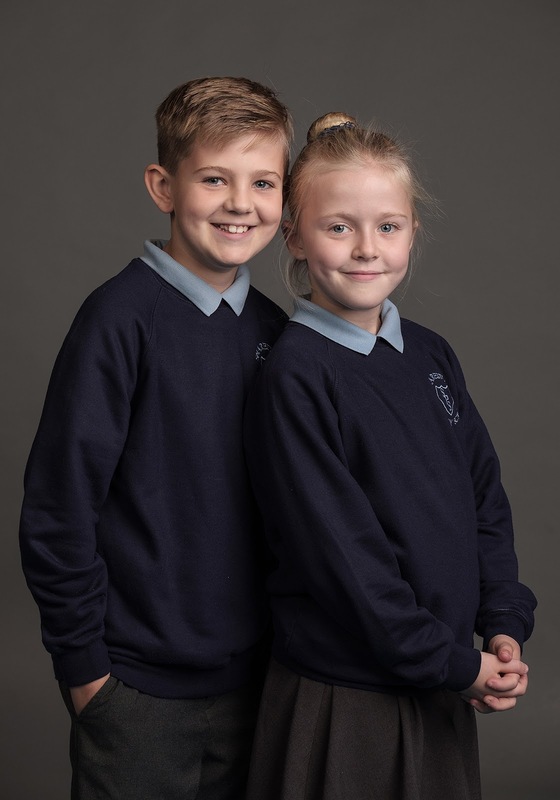 Every year I do a load of school portraits and I rarely get the chance to share them as I never share anything without permission. Gaining permission is just that bit more difficult when you don't meet face to face with many parents. So I just don't bother. But this year I thought I'd give it a go and get some permissions as they are just too lovely not to share. 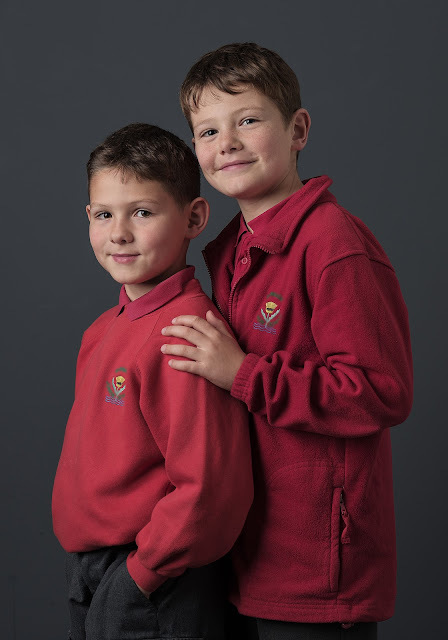 School portraits give me a chance to work very differently than usual. In some ways its not how I like to work at all but in others its a chance for a little freedom. You see for me, I like to be a perfectionist with my work. And being such can be draining. This usually means creating just a few really great portraits for my studio clients and having all the time in the world in which to do so. With school portraits on the other hand, there is only so much I can do. So I have to let some of the perfectionist in me go. And that can actually be quite liberating at times. My studio sessions regularly last as long as 4 hours, depending on the type of shoot. So that is 4 hours to maybe work with 2-5 people to get possibly 10-20 fantastic images. Schools on the other hand will be about 6 hours to photograph 200 people as both individuals and sibling groups to get roughly 500 acceptable photos (which I always still try my best to make perfect). So as you can imagine, it all works a little differently. And to be honest, I take longer than many other school photographers, from what I am told. I basically get no more than 60 seconds per child which can make it difficult to get that perfect smile every time no matter how hard I try. But when it doesn't happen, I've learned over time to let it go. This is where the feeling of freedom comes from and why schools can be a break for me just by being a change from what I am used to. With the youngest of children they are often so shy and a little scared that we can't always get the best with them. And with the older children they can be a little self conscious or in need of looking cool in front of their peers. Either way, getting that quintessential smiling portrait isn't always possible. Not to mention that as soon as first break hits, there is little chance that the flawless hair styles will remain. The girls come back with their perfect pig tails springing leaks and the boys come in with red faces and damp sweaty hair. Not really the ideal scenario for perfect portraits. 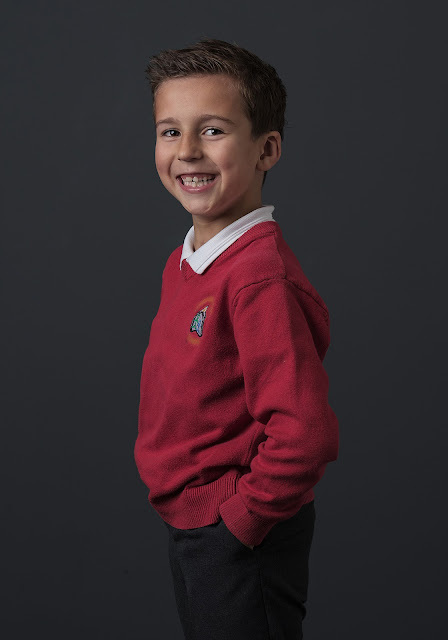 However, for me the perfect school portrait is about capturing the child at school being themselves. I have many photos of my daughter at school looking less than pristine and one time as miserable as can be but every time they were still perfect to me because it was always as I would expect my daughter to be. Her miserable portrait was when she was 2 and painfully shy and I love that memory. And her slightly tatty hair was exactly how I saw her everyday when she came running out to me at the gates at the end of the day. This is what school portraits are. There are other times and places to get photos with everything just so. At school the photos are whatever we manage to capture. But please know that I always try my absolute hardest in that short time I have to get something each parent will love. I know they aren't always perfect but I'm always still proud of what I create under those circumstances. I think if more parents could witness the process they'd appreciate just how difficult it really is. 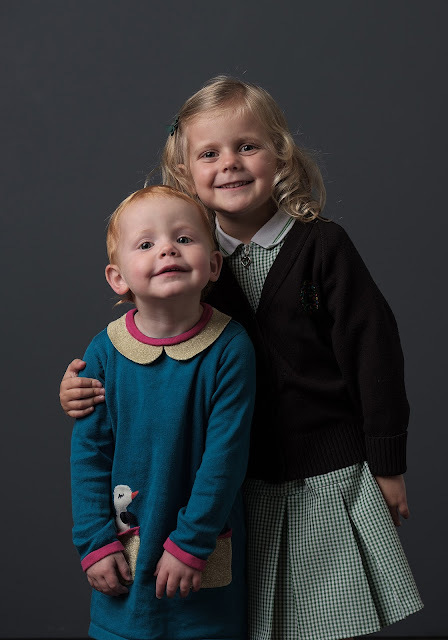 In 2018 I will be offering 2 different types of sessions in our studio for people wanting school photos with a bit extra. 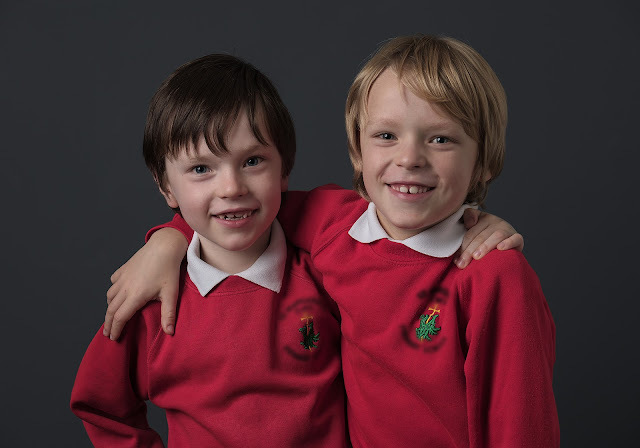 As always I will be setting a couple of dates for basic school photos in a 10 minute session where my usual school print and digital prices apply. This is for standard straightforward school photos only. In addition to this I will be offering extended sessions at my mini session price of £125 for 3 digital files. 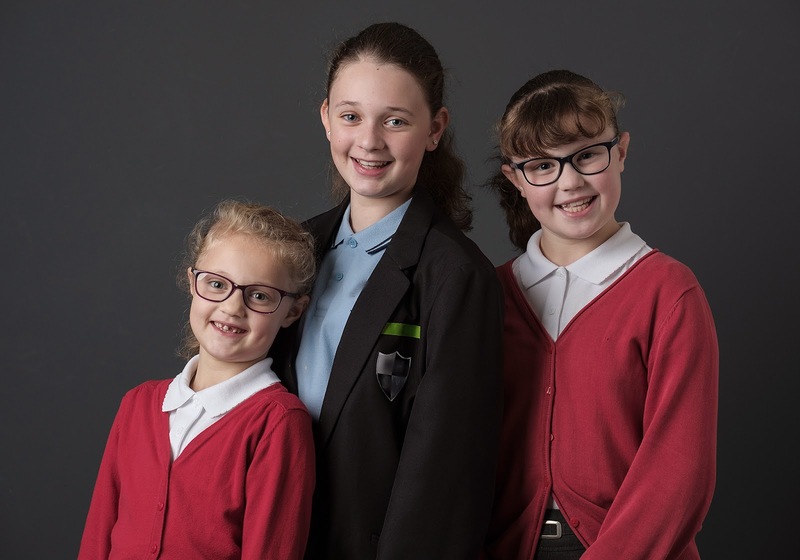 This session will differ in terms of the amount of time spent (45 minutes instead of 10), props used and an outfit change so not all photos need to look like school photos. This will be a great opportunity to get regular updated portraits of your child and at a reduced rate from my usual studio fees. 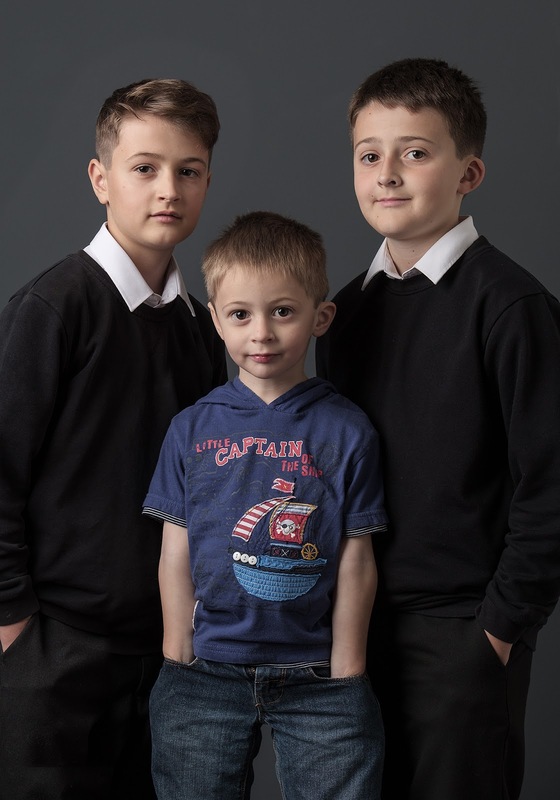 If you would like to be added to my mailing list for such school photos please get in contact using the links below and you'll be notified as soon as the dates are set. Please note that we will not bombard you with loads of emails (or share any of your details). This list is for school photos only and will be used for just a few emails per year.